A new guest to the show Remi Piet, Senior Director at Americas Market Intelligence (AMI) joins me to share some insights on the environment for mining companies in Latim America. AMI works with a range of mining companies and financial institutions who are operating in or looking to work in Latin America. Glad to have some new info………..from other sources…….good job……. New house bill……..gives away billions to Israel ……. EBO>>>>>>>you will like this one……has a picture of your favorite person…with Nitty..
Will Blowsi ever go away??? Why do tyrants live forever…or it sure seems that way. We are nothing but tax slaves to criminals like Blowsi and Nuttyyahoo. And you can bet that all this money going to Israel is just fine with McKinney and old Harlan which are the only voices we hear here on the Middle East. I will just try to forget about all this by listening to another Doug Casey impersonation. Doug has some good comments………..
S.1 the Strengthening America’s Security in the Middle East Act of 2019 , sponsored by the singularly ambitious though demonstrably brain dead Senator Marco Rubio from Florida, included $33 billion in guaranteed aid to Israel for the next ten years, an unprecedented gesture to America’s closest ally and best friend in the whole world, as Congress might describe it. Like these guys need any more aid……..
Is Rubio jewish………..or just got his hand out…..
Next screw job on the US citizen……..can’t talk about Issy…..
Rubio is at home in the grimy back streets of Tel Aviv where suitcases of American money go to the Jewish Overlords and are then spent back in America for influence peddling. I liked it when Trump called him “Little Marco Rubio”, Uncle Netanyahu’s knee puppet. Let’s see how Trump react to the Issy issue….for free lunch for all with a Fake Star…. Washington while also being enabled politically by the U.S. government’s acquiescence to the Israeli violations of international law. And if the moral argument for not having a wall to aid suffering refugees has any meaning, it would be many times more so applied to the Israeli wall, which is an instrument in the maintenance of apartheid in areas under Israeli control while also making permanent the stateless status of the more than one million Palestinian refugees, far more in number than the would-be immigrants marching through Mexico. AXU being walked up. I have no idea if this is a pump n’ dump or it is legitimately leading the pack. Regardless, I’ll take it. The $1.20 zone was more or less the floor for AXU for the greater part of 2 years, so for all I know this is merely a backtest of very significant support. GCC is looking less and less likely that it will be able to get above $18.60 in the next two weeks. If it doesn’t I think it is going to be a sideways to lower grind for the rest of the year by the looks of the Ichimoku cloud ($18.60 will become a ceiling instead of a floor). Is that a guarantee? Absolutely not, but this is a game about playing the probabilities. and Trump only wants ….$5 BILLION for our country…….and PELOSI approves…. $USD–we really don’t want to see it close too much above the 50 dma at 96.15. The 96.2 area is pretty critical resistance on the daily chart in my eyes for a number of other reasons. The more the Fed prints, the higher the USD goes thanks to their minions at the ECB and BoJ. 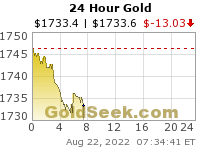 If we do see a move upwards in gold and commodities this week, I have a feeling it will come on Thursday and Friday. I am basing this on the daily Ichimoku cloud for UUP and GCC. Just a big con game……….silver stealer.net………. There are 101 MILLION people drinking toxic water , in the USA, and Trump failed to do anything about the problem……. 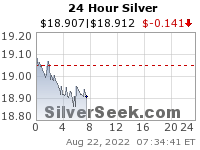 silver is capable of going up a buck or more in the next week or two. But, I would agree with you…..could go up a buck …..in a flash, …..and then back down…maybe…..
S.America becoming more favorable for investment. Venezuela might be good in a while, especially for oil. Brucutu, which has an annual capacity of 30 million tonnes of iron ore, is Brazil’s second largest mine, behind Vale’s Carajás. Strategic alliance expands Barrick’s exploration footprint in the Guiana Shield, a significantly under-explored region and one of the most prospective in the world for large scale gold discoveries. This is the first time Cusco’s regional prosecutor is able to issue this type of sentence. I am going to go way out on a limb and say that commodities, silver and silver miners are going to get a significant pop up in the next 2 weeks to new highs. I think AXU is leading the way higher in this respect. I think the move will begin on Thursday and at the latest on Monday. This is more just a hopeful outcome to a chart setup than anything else. AXU – have you looked @ the BBs, 4 th day outside the upper band.im trying to get $1.25 out of it. Such strength is often followed by a continued rise even after getting back inside of the BBs. It is overbought on the daily chart and currently dealing with 50 & 200 week MA resistance. The weekly chart points to much more upside over time. I don’t own it at the moment, fwiw. We I think you’ll be able to. Up moves should be far bigger than down moves for now. Yeah AXU is definitely overextended but the bb are so steep now that it is not going to take much of a move down to get it back inside the bands. Odds are it happens tomorrow. We’ll see. I am by no means calling for a moonshot necessarily. For all I know it could drop 30 cents in the next week or two. I am just hanging on.